In honor of Arciel, i.e. 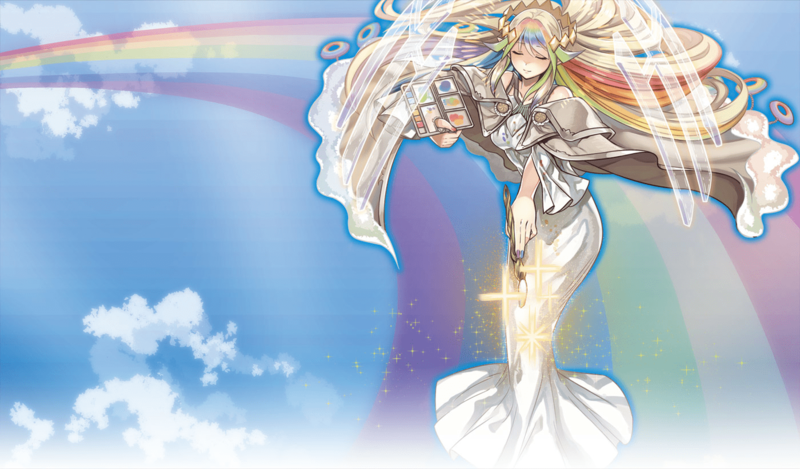 The Weather Painter Rainbow, being one of the top potential sleeve candidates for the Card Illustration contest, Konami’s released a Deck of how to best use the Deck. The “Weather” Deck is a Deck centered around Continuous Spell/Trap Cards granting effects to Monsters. This Deck has many cards that work well with “The Weather” cards.